Salta is a social action project that aims to connect children and teenagers, from primary through high school, to our earth and to the food produced from it. 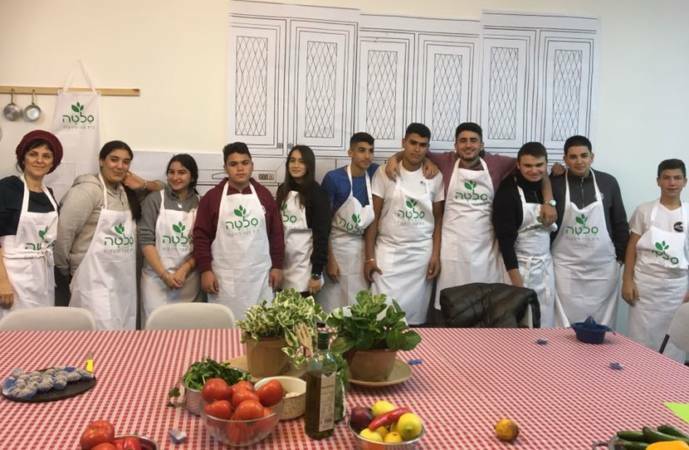 The project invites students to acquaint themselves with the kitchen environment, introduces them to healthy recipes they can also prepare at home, and encourages them to become agents of change: in their own life first, and then onwards to the rest of their family, and to other social circles. For youth in risk, of whom many live in poverty, there aren’t many opportunities to get to know healthy food or a variety of food products. For them, this project offers an alternative in the kitchen, which will ensure a full stomach as well as reduced costs. 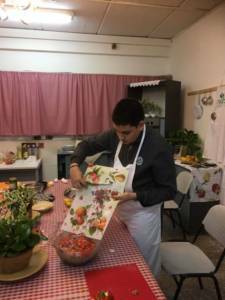 This is a hands-on project: in every lesson, the students work in the school’s vegetable patch or in the kitchen, and finally they eat a shared meal prepared by the students themselves. 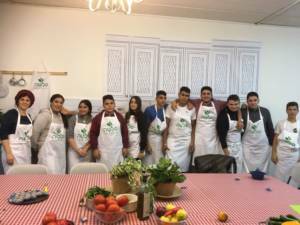 The work process – starting with growing the vegetables through food preparation, along with practical and theoretical learning about it, eating the meal and finally cleaning up – aims to enhance the students’ life skills, and to improve (directly and indirectly) various daily capacities: communication, dialogue, sharing, and a healthy lifestyle. The meetings aren’t focused solely on the meal preparation, but involve other contents such as the relationship between food and mood, cuisines of various nations, seasonal and holiday dishes, economical cooking, and so on. The project has been implemented in Sci Tech Israel Network thanks to donations by Marlene & Barry Berelowitz, as well as the Israeli food Strauss group. Currently it is running in about 13 schools, including: Sci Tech Elkana, Sci Tech Amirim Beit She’an, Sci Tech Beit HaArava, Sci Tech Geula, Sci Tech Rogozin Maritime in Ashdod, Yitzhak Shamir Sci Tech school in Kfar Saba, Sci Tech Migdal HaEmek, Sci Tech Kiryat Gat High Vocational School, Sci Tech Vocational High School and Sci Tech Hilmi Shaffi Comprehensive School in Acre, and Sci Tech Psagot in Beit She’an. 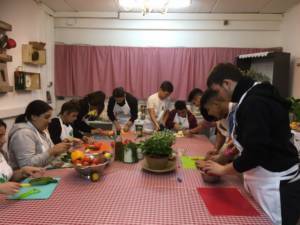 It is led by Ortov and Salta – A School About Vegetables. During the year there are regular meetings, and “peak events” facilitated by the project’s coordinator on behalf of the school. The meetings consist of acquiring practical tools and methods for kitchen work, building a healthy menu, building a set of healthy recipes, as well as empowering leadership skills and taking the project outside the classroom – to the school community and beyond.